The DomusVi Villa Sacramento Nursing Home for Elderly People features fully equipped, recently upgraded facilities, with large, airy common rooms where numerous activities are organised for residents to enjoy. It also has a magnificent garden where residents can enjoy lovely strolls. In order to provide more personalised care and adapt the activities and services to each person's needs, residents live together in independent cohabitation units according to their situation. They each have their own facilities (dining rooms, living rooms and lounges). It offers services to older and elderly people, people with physical and mental disabilities(adultos), (adults) and people with personas con mental illness (adults). 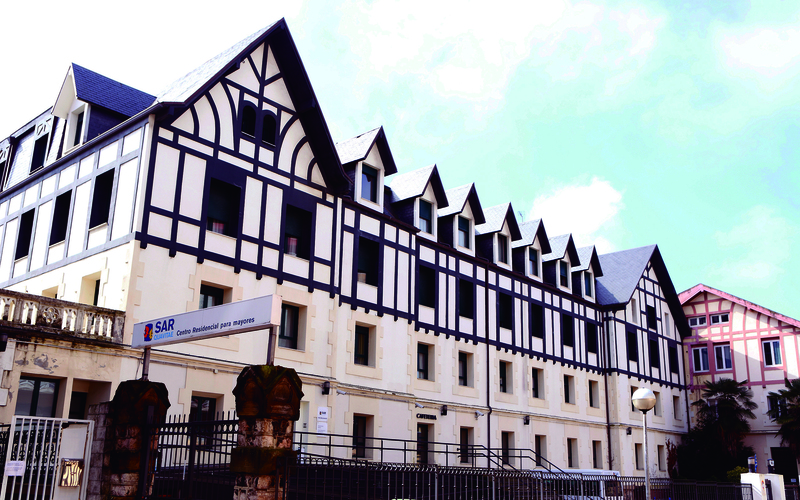 The DomusVi Villa Sacramento Nursing Home for Elderly People is in a privileged, historic building which once housed the French Lycée in San Sebastian. In an area which brings together the urban and cultural spirit of San Sebastian, the SARquavitae Villa Sacramento Nursing Home for Elderly People offers a peaceful yet dynamic stay in the heart of the lively capital of Guipuzcoa, which is in easy reach of both the city and the rest of the Basque Region. The DomusVi Villa Sacramento Centre for Elderly People has both private space and spaces which are partially subsidised by the Diputación Foral de Guipúzcoa.